The 2nd Annual HIP Statewide Conference is an opportunity for faculty, staff, and administrators to come together to hear best practices in high impact practice implementation and assessment. A focus of the statewide conference will be to examine ways institutions can look at closing student equity gaps and ensuring quality within HIPs. Breakout sessions will include presentations focused on all nine TBR designated HIP taxonomies and will include a focus on relational advising work. Members of the Systemwide Faculty Learning Community (FLC) and faculty and staff with an interest in scaling HIPs at their institution are encouraged to participate in this conference. *Conference Capacity is limited. 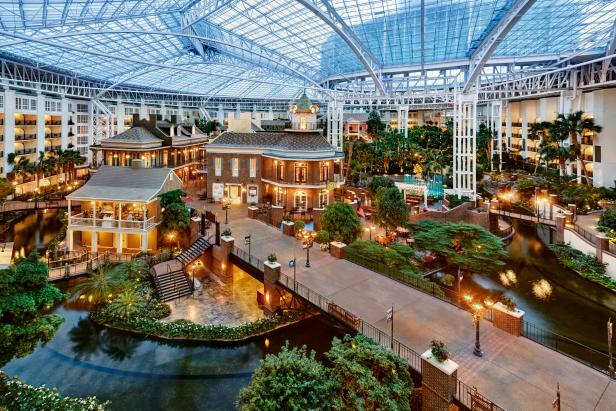 Be sure to register early to secure your spot as well as guarantee your hotel room! Please fill out the following feedback survey linked HERE to let us know about your conference experience! Registration numbers are used to confirm meals and other details with Gaylord Golf Springs. *Please note that in the event of a no-show, your institution will be charged $50. Parking: You will be responsible for the parking rate of $19 per night. *All rooms will be a direct bill to TBR. You will be asked to provide a credit card for incidentals. Reservations can be made HERE or by calling 1-877-491-7397, under the Tennessee Board of Regents Conference. *Reservation cancellations must be made at least three (3) working days prior to arrival, and a cancellation number must be obtained. If not, your institution will be charged for lodging. Shanna Smith Jaggars is Assistant Vice-Provost of Research for Undergraduate Education at The Ohio State University in Columbus, where her research focuses on improving student outcomes, including issues around technology-enabled learning, online and distance learning, online student support services, curricular and transfer pathways, and other topics related to access, affordability, and time to degree. At CCRC, Jaggars leads the American Honors study. Jaggars served as CCRC Assistant Director from 2012 to 2016. Together with Thomas Bailey and Davis Jenkins, she is the author of Redesigning America's Community Colleges: A Clearer Path to Student Success (Harvard University Press, 2015). Dr. Vijay Pendakur serves as the Robert W. and Elizabeth C. Staley Dean of Students at Cornell University. Prior to this appointment, he worked on campus-wide student success initiatives for underserved populations as an Associate Vice President for Student Affairs at California State University – Fullerton. 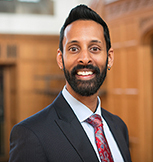 Before joining the team at Fullerton, Dr. Pendakur served as the Director for the Office of Multicultural Student Success at DePaul University in Chicago. He is the editor of the recent book, “Closing the Opportunity Gap: Identity-Conscious Strategies for Retention and Student Success,” as well as numerous chapters on racial identity development, and critical leadership pedagogy, and student affairs administration. Dr. Pendakur serves on the institute teaching faculty of the Center for Race and Equity at the University of Southern California and as a faculty member for the “High Impact Practices Institute” through the American Association of Colleges and Universities. He currently serves on the National Institutes of Health (NIH) Working Group on Diversity, which advises the Director of the NIH on inclusion and equity strategy in the field of biomedical research. He holds a bachelor's degree in history and East Asian studies from the University of Wisconsin, Madison, a master's degree in U.S. history from the University of California, San Diego, and a doctorate in education from DePaul University.